E. Budd Simpson | Simpson, Tillinghast, Sheehan & Araujo, P.C. 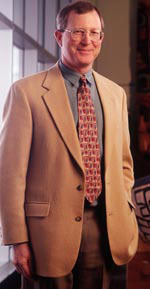 E. Budd Simpson devotes a large portion of his practice to serving as the principal outside legal counsel to Sealaska Corporation (one of the twelve Alaska Native regional corporations formed under the Alaska Native Claims Settlement Act), which has been a client of his since 1978. Mr. Simpson's practice includes the timber, banking, resource development, real estate, subsurface, risk management, personnel, state securities regulations, and litigation activities of the corporation. He is also General Counsel for The Juneau Empire, the region's largest daily newspaper, and its parent company, Morris Communications Corporation, which has media holdings throughout the state and the Lower 48. Martindale-Hubbell awarded Mr. Simpson its highest rating, AV. He is a member of the Alaska Bar Disciplinary Board and chairs the Alaska Bar Fee Arbitration Panel in the First Judicial District. He is a former President and served on the Executive Board of the Southeast Alaska Area Council of the Boy Scouts of America from 1985 to 2005. He served as a member of the Alaska State Physical Therapy Board for six years, and was a director of the Port of Juneau, Docks and Harbors Board, from 1996 to 2008, including two terms as Chair. Mr. Simpson received his Juris Doctor from the University of California, Hastings College of the Law, in 1976. He is a member of the Bar of both Alaska and California, and is admitted to practice in the Supreme Court of the United States, the Ninth Circuit Court of Appeals, the United States Court of International Trade, and all relevant state and federal courts. Mr. Simpson is married and has three children. 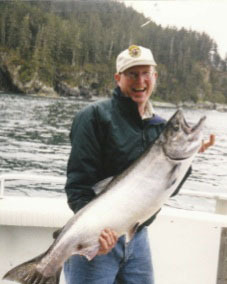 He enjoys boating, fishing, travel, and spending time with his family at their cabin in Haines, Alaska.